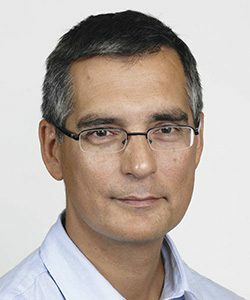 Dr. Marko Simunovic is a Surgical Oncologist at the Juravinski Cancer Centre and an Associate Professor in the Department of Surgery at McMaster University. He is also affiliated with the McMaster Departments of Oncology, and, Clinical Epidemiology and Biostatistics. His clinical area is colorectal cancer while his research focuses on knowledge translation and surgeon-directed quality initiatives. Dr. Simunovic suggests that in the publicly funded Ontario health care system, region-level solutions are required to address the variable patient outcomes following cancer surgeries observed at the hospital and individual surgeon level.